Rebecca and Emily’s mum, Laura, has recently returned to work, full time, after her second maternity leave. The girls both attend First Steps in Chichester three half days a week. “We found First Steps online and it’s location was perfect for us. When we went to visit the nursery we were delighted – it almost seemed too perfect!” said Laura. 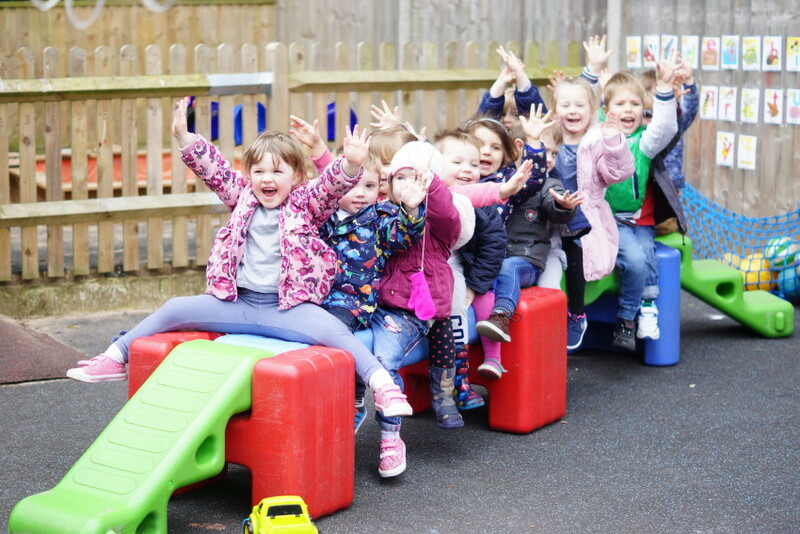 The variety of activities on offer each day, from outdoor and messy play to painting and reading from an early age (Rebecca was 11 months old when she first started) impressed Laura and she found it very reassuring to see such happy and smiling children when she visited too. Rebecca is so excited about going to nursery that she sings the whole way there and that has undoubtedly enthused her little sister who can’t wait to get stuck in as soon as she arrives too. Laura is often surprised at the many things the girls learn during their time at First Steps, with Rebecca once singing the full alphabet song to her for the first time after being at nursery! At First Steps we pride ourselves on ensuring that all our children are having fun as we believe that this is when they will thrive. Rebecca and Emily are perfect examples of this.